Have you ever dreaded heading to the gym or out for your afternoon walk but find that when you returned you are feeling more energized, less stressed, and maybe even a little happier? Me too. Many people report physical activity having a great impact on their emotional health and well-being. So let’s take a look at what the science says about physical activity, exercise, and how we feel. Regular physical activity and exercise can have a profound impact on your health and wellness. It helps prevent a number of heath-related chronic conditions such as diabetes and high blood pressure, and can also strengthen your heart and leave you feeling more energized. But believe it or not, there’s even more bang for your buck with regard to your emotional well-being too. For decades scientists have explored how physical activity impacts the brain, specifically with regard to depression and anxiety. Findings suggest that when people engage in physical activity, they may reduce stress, boost mood, and become more resilient people. The residual benefits also go far beyond the surface. But how and why does this happen? The relationship between exercise and mental health is complex, with many layers and diverse findings. But research consistently indicates that aerobic exercise such as walking, dancing, swimming, and jogging changes the level of several chemicals in the brain, specifically endorphins, which are powerful and can leave you feeling happy and energized. There are clear links between anxiety, depression and exercise. Regular physical activity may play an important role in alleviating symptoms of depression and anxiety in individuals who have been diagnosed. Aerobic training, strength, and flexibility/ mobility training appear equally effective for treating depressive and anxiety symptoms. Physical activity appears as effective as psychotherapy for the treatment of mild-to-moderate depressive symptoms. 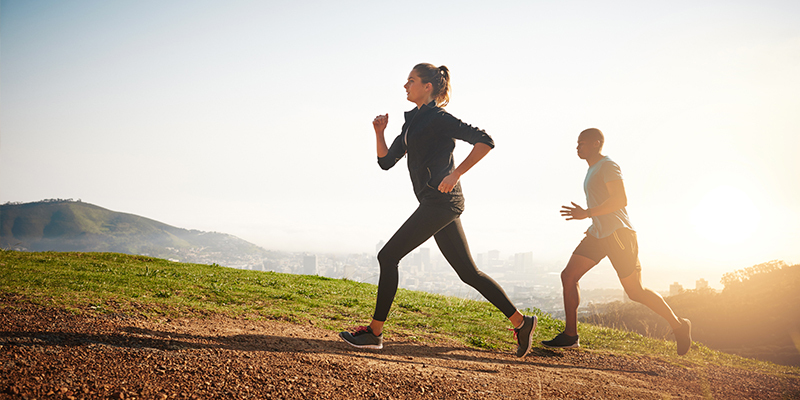 No evidence has shown conclusively that physical activity prevents the onset of depression, but exercise may diminish the likelihood of individuals with mild depressive symptoms from developing major depressive disorder. While depression and anxiety seem to be the two main emotional health topics reviewed in a majority of the literature, findings are clear that exercise has other benefits for those not diagnosed with depression or anxiety that can impact emotional health. Higher Self Esteem/ Confidence: Exercising and meeting your goals can lead to a fostering of self-worth and sense of achievement. Resilience: Exercise can help a person cope with life’s challenges in a healthy way instead of resorting to unhealthy behaviors. It can also help reduce the impact of stress. Improved Sleep: Regular activity can help to regulate sleep patterns, and people who exercise report falling asleep faster and even sleeping more soundly than those who don’t. Improved Memory: Researchers are finding that higher fitness levels correlate to increased size in two parts of the brain; the hippocampus and prefrontal cortex. Both of those areas play dominant roles in complex thinking and memory formation. The deterioration of those areas can lead to dementia and Alzheimer’s disease later in adulthood. Reduce Stress: It’s no secret that exercise can help reduce stress and improve your mood. Being active stimulates brain chemicals that result in feeling happier and more relaxed the rest of the day. Physical activity and exercise may have an impact on long-term emotional health and is a simple, inexpensive, and effective option for those that have been diagnosed with an emotional health disorder or those looking to improve emotional health and wellness. While there is not any one specific recommendation as to how frequent, how long, and specific modes, aiming for a minimum of 150 minutes of activity per week as recommended by the American College of Sports medicine is a great place to start. Carek P., Laibstain S., & Carek S. (2011). Exercise for the treatment of depression and anxiety. Int J Psychiatry Med. 2011;41(1):15-28. Craft, L. L., & Perna, F. M. (2004). The Benefits of Exercise for the Clinically Depressed. Primary Care Companion to The Journal of Clinical Psychiatry, 6(3), 104–111. Guszkowska, M. (2004). Effect of exercise on anxiety, depression, and mood. Psychiatr Pol. 2004 Jul-Aug;38(4):611-20. Martinsen EW. Benefits of exercise for the treatment of depression. Sports Med 1990; 9 (6): 380-9. Paluska, A., & Schwenk, L. (2000) Physical activity and mental health: current concepts. Sports Med. 2000 Mar;29(3):167-80. Steinberg H, Sykes EA, Lowery S, et al. Exercise enhances creativity independently of mood. Br J Sports Med 1997; 31: 240-5. Ten Have, M., deGraaf, R., & Monshouwer, K. (2011). Physical exercise in adults and mental health status findings from the Netherlands mental health survey and incidence study (NEMESIS). J Psychosom Res. 2011 Nov;71(5):342-8. Get Rolling for Bike to Work Day!